A new Galaxy J series smartphone has entered the market. 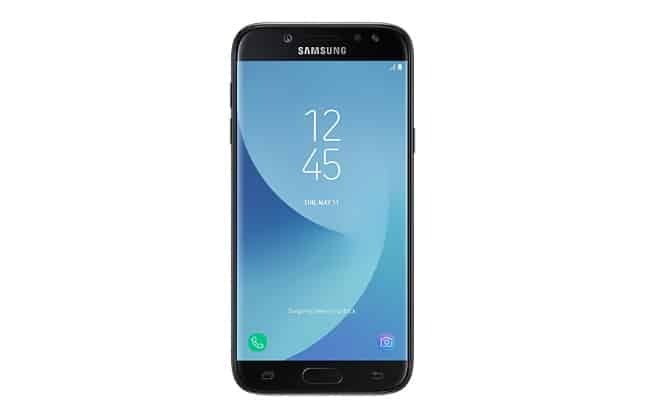 Officially unveiled as the Samsung Galaxy J5 Pro, it couldn’t be too far off to call this particular variant as a beefed up version of the original J5 2017 smartphone. Much like the J5 2017, the J5 Pro offers a solid, metal body with the antenna lines on the back. At the front you have a Super AMOLED 5.2-inch display with a resolution of 1280×720 pixels, having 282 ppi. However, unlike the J5 2017, the Pro now offers a standard 3GB of RAM. Internal storage also sees a bump to 32GB from 16GB on the original J5 model. Storage space is still expandable via a microSD card up to 256GB. All the processing duties are still handled by Samsung’s own Exynos 7870 octa-core processor. Cameras on the J5 Pro remain the same as well. At the back you have the 13MP sensor, f/1.7 aperture, autofocus and an LED flashlight. The larger aperture will help the J5 Pro in getting more light into a shot and ultimately, better low light photos. The front selfie shooter is also accompanied by a 13MP sensor but with a smaller f/1.9 aperture and an LED flash. On the software side of things, the J5 Pro is running the latest Android 7.0 Nougat with Samsung’s custom skin on top of it. Powering it is a non-removable 3,000mAh battery. Nokia 6 used snapdragon 430:P chip! not even middle range. both N6 and J5 does not justify the price range. you will get much much better phone in that range.